An important part of your dog’s health is their grooming. Part of that includes a twice-monthly cleaning of their ears. If you come across redness, head shaking, constant scratching, or an odor, these could be the sign of a problem with your dog’s ears. If you have not cleaned your dog’s ears or you are unsure of how good a job you’ve been doing, check out this easy two-step process. 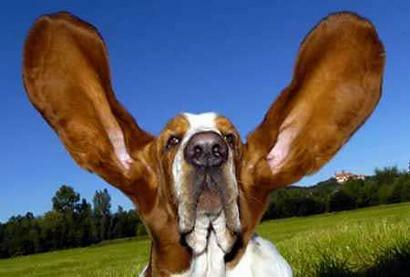 Examine your dog’s ears for sight and smell indicators. Inside the ear, the skin should be a pale pink, as well as the flaps. If there is red, brown or black skin or a foul odor, have a veterinarian examine your pet’s ears for possible issues. Clean your dog’s ears by moistening a cotton ball with warm water (or maybe a dab of mineral oil), using it to clean the opening into the canal and the flaps. Make sure not to probe too deeply into the canal, as you could damage your buddy’s hearing.